The Tiger Swallowtail arrived before the plants did. A single large butterfly with tails intact and colorful vibrancy innocent of the inevitable markings to come. The winds were picking up. The purple Verbena had grown several inches. The blooms moved up and down with each gust of wind. The big butterfly glided only slightly above our heads. I imagined it needed nectar and sunlight, the latter of which had faded. I was glad to have the flowering Verbena. My son and I had both seen the single butterfly flying around for a few days. I decided to go get a fast growing nectar-plant. Arriving home from my short trip to the nursery, a fresh brood of Eastern Tiger Swallowtails greeted me. Butterflies were everywhere. I couldn’t believe it! Two were flying high, playing together, and at least a dozen more were coming down for a visit. I was delighted to see the butterflies together, flying above and around my little home. I’m dealing with a fair amount of sadness these days. Springtime has helped, but my lack of motivation to do the things I normally enjoy lurks in the corners of my days and nights. 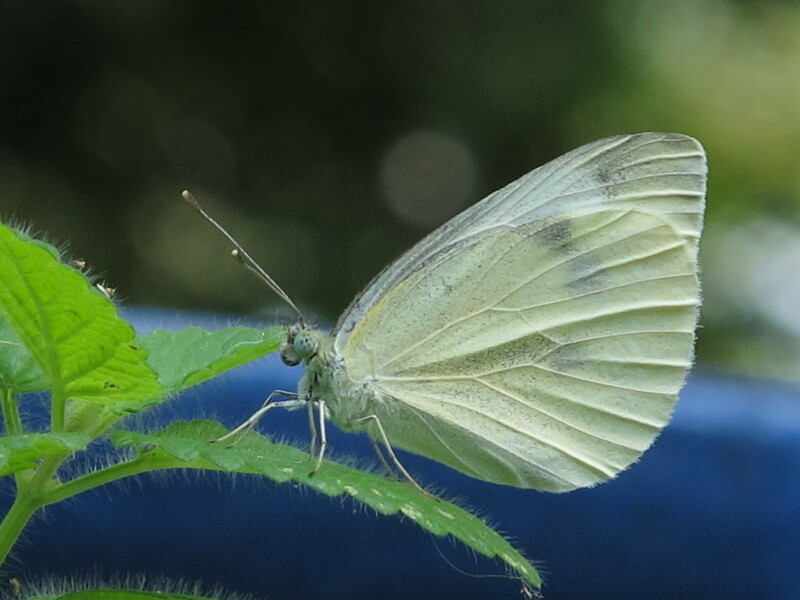 The idea that the butterflies have a genetic memory and know they can find nectar in my little garden lifted my spirit. I remembered the day, not too long ago, when a flock of Robins came to fetch the lone resident that captured my heart while spending the Winter eating berries from a Holly tree by my window. It was a grand and exciting scene when those of ‘the same feather’ greeted the Winter Robin. I don’t know where they were headed when they left, but they sure appeared to have a plan. I’ve regressed. Back to the butterfly. We sat on the patio near the container garden and watched, quietly and still. The yellow-striped butterfly held tightly, for the blooms really were blowing hard. I imagine being a butterfly in strong winds isn’t all that easy, now that I think about it. I haven’t seen the new brood together again, but I feel sure the butterfly in the wind will tell of the little corner of nectar it found. Butterfly, you have an official blooming invitation to my yard and the little green garden I planted just for you. Skippers perched drinking nectar and a little hummingbird on the way. It was the hummingbird I was looking for when I walked over to the flowering gardens and met up with a zealous group of butterflies, which I believe were Silver-spotted Skippers. What a fun group of butterflies! The Skippers may not seem as spectacular as the bright Zebra Swallowtail or awe-inspiring like the Monarchs, but these winged friends are very playful. They fluttered and flitted to and fro, hovering only briefly and often gathering together on a single flower. According to Geyata Ajilvsgi, in my all time favorite Butterfly reference book, Butterfly Gardening for the South, these winged garden friends are, “pugnacious in character and will attack just about anything in its range, especially other butterflies, no matter which species they happen to be” (pg 150). I would never have guessed that what I thought was simply a family generously sharing in their source of energy, might instead have been a combative rivalry. I’ve missed a few Horticulture Therapy group gatherings, but I’ve tried to keep a connection with the gardens by visiting. The images I come home with help me remember the Green Healing moments in time. Butterfly Gardening for the South. The Audubon Society Pocket Guides. Alfred A. Knopf, Inc., 1990.